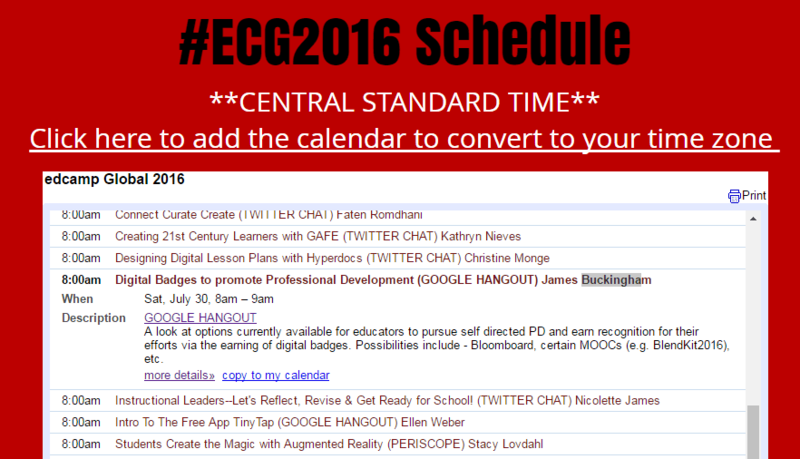 On Saturday July 30 Learning2gether hung out in Hangout in two presentations (where the presenters had sent invitations) which were part of the 24 Hour online edcamp Global July 29th-30th 2016. I hope you will join me in discussing the following three basic questions in the context of digital badges and professional development. 1 – what exactly are badges? 2 – why might you want to know more about them? …. and …. 3 – if badges are so great, why haven’t we seen greater uptake of them by others? The presenter mentioned a chat and Q & A area but this participant was unable to find these during the presentation (later I found out it was the Q & A utility in Google +). Other participants were interacting with the presenter in these spaces. Join us as we explore the topic of Kidcasts or podcasts for kids. What are kidcasts? How can I use podcasts designed for kids in my classroom? Come and share your ideas. Facilitating Joe Rodriguez 5th Grade teacher at The Ambassador School of Global Education in Los Angeles @edtechjoe and by Lindsey Patterson co-host of the Tumble science podcast for kids,@TumbleCast. Feel free to jump in and join the fun. An article in the Atlantic, Where are all the kidcasts? Learning2gether was in holiday hiatus during July of this year. Nevertheless, Jürgen Wagner asked Learning2gether the help promote this Globinar with Allan Carrington – the “imagineer” of the Padagogy Wheel – as Learning2gether episode 338. Learning2gether was honored to have been asked to participate. Doing “flipped classrooms” is the flavour of the month for educators. What does it mean? Is it new? What exactly are we to flip? How do we approach the Learning and Teaching design to get the best outcomes? Is this really worth it for students and can teachers handle the change management load? We will introduce the Padagogy Wheel learning design model, which has gone viral on the Internet with over 150,000 copies downloaded and is in front of tens of thousands of teachers around the world. This approach to learning and teaching is all about mindsets and filtering everything we do as teachers through different grids. We will show how this “disruptive” approach to curriculum design enables teachers to flip more than their classrooms. We will start at the finish (the excellent graduate) and map everything back from there. 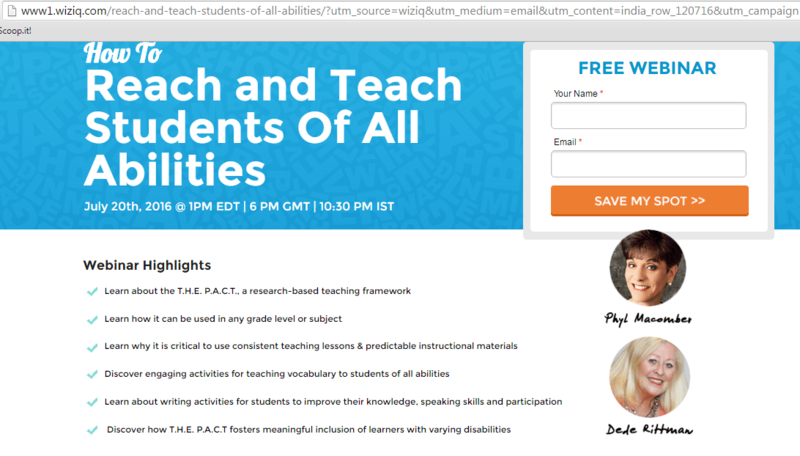 Sun June 26 1400 UTC Learning2gether 337 – Carry English in Your Pocket!